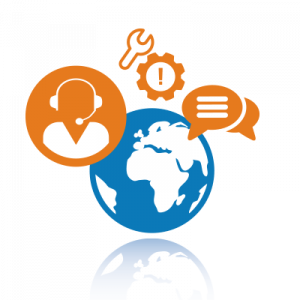 The INTTRA support team, with offices in three continents, is dedicated to ensuring customers can successfully utilize the INTTRA Platform. With over 17 years supporting electronic booking transactions for the ocean shipping industry, INTTRA’s global coverage and comprehensive service delivery support will ensure your business is always in capable and experienced hands, no matter the challenge. Available around the clock, the INTTRA Customer Service team is ready to help. Need a new service integrated with your system? Adding carriers? Adding users? Our Customer Service team members are available in your preferred channel. System Status: See our real-time service status page. Phone: Call and speak with a trained representative. Self Service: Find the answers yourself with our guides and FAQ documents in our Tools and Guides section of the website.